Samuel was a school teacher who taught his children the principle of tithing. As Freda remembered, “When my father was teaching school our tithing was sent in regularly to Darbun, Mississippi” the location of the nearest LDS branch. When Samuel retired from school teaching he turned to farming and still remained a faithful tithe payer. “When the crops were gathered and sold,” Freda recalled, “the tithing was sent in.”  Samuel died in 1922 leaving Ardella a widow until her death in 1964. United States Census, 1870, 1880, 1900, 1910, 1920. Pike County and Walthall County, Mississippi. Church of Jesus Christ of Latter-day Saints, Record of Members Collection, CR 375 8, box 4256, folder 1, image 246 and 451, Church History Library, Salt Lake City, Utah; United States Census, 1910, Pike County, Mississippi; Freda Lucretia Magee Beaulieu, address, 1982 January 16, p. 1; MS 6938, Church History Library, Church of Jesus Christ of Latter-day Saints, Salt Lake City, Utah. Mormons consider age eight to be the "age of accountability," and wait until then to baptize. 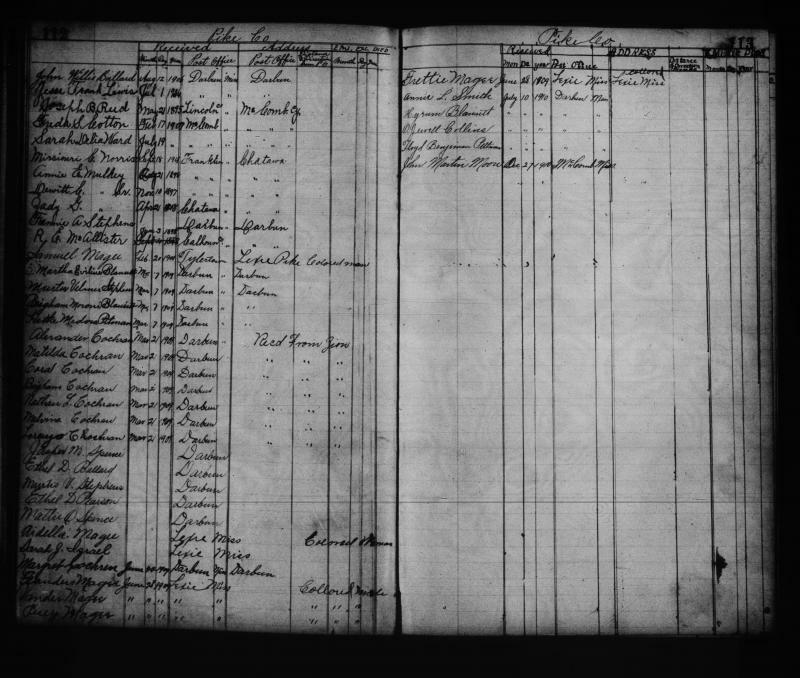 United States Census, 1870, 1880, 1900, 1910, 1920, Pike County and Walthall County, Mississippi. Beaulieu, address, 1982 January 16, p. 1. Beaulieu, address, 1982 January 16, p. 2-3.